Whether it's frozen to perfection like a frosted mirror or dressed in the dazzling shades of summer, Tjörnin pond is enchanting in any season and one of Reykjavík's most photographed attractions. 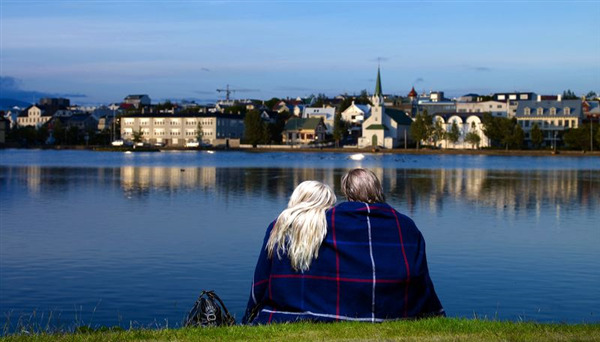 Tjörnin, which is dramatically framed by the impressive Reykjavík City Hall and numerous beautifully coloured old houses, is a natural pond and home to countless ducks, swans and geese that even stay for the entire winter season thanks to a little geothermal heating. Apart from being a great place to frame a photograph, it’s also a great place to wander and a popular destination for families in Reykjavík, who are often seen feeding bread to the bustling birdlife.